Generally speaking, if you go looking online for Christian books, you will discover many dedicated bookstore sites that sell them. Even the secular sites, like Amazon, Chapters/Indigo, and most others, realize that there is a huge market out there looking for Christian books. Naturally, they want to jump on a profitable bandwagon too. Besides that, you will find that many authors, and Christian ministry sites, are selling a few of their own books, or those of others related to their purposes. All this to say that you should not have any trouble finding Christian books online. 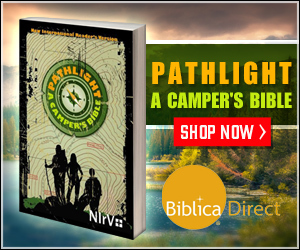 It is when you refine your search to specific Christian books, or categories within this large genre that you may need some help sorting out what is out there, and how to find the best deals. What's more, these stores do not just sell physical books, but e-books for your e-book reader, music and videos/movies as DVDs, and sometimes special clothing and jewelry and other items. One of the first sites for Christian books that I discovered, and that I still turn to first, is Christianbook.com I'd like to use that one as an example and show you how to shop and make purchases. Then, I'll add a list of other similar sites that you can explore on your own. When I come to the home page of Christianbook.com I often skim over it for a minute to see what's new and current in the Christian books and music field. I'm too busy to follow it closely, so this is my way of seeing what's new, what has been re-issued, new authors, etc. (This will be possible with most other Christian book sites as well). If I come to the site looking for a specific item or an author, I'll type that into the search bar at the top, and if I know the category, I'll click on the tiny triangle/arrow beside "All Products" and click on the right one on the drop-down list. Then, hit GO. In seconds I'm looking over the item, or books by a certain author, that I wanted to see. I can now compare details, prices, etc., and make my decisions about buying. If I have nothing in particular in mind, looking for ideas for a gift perhaps, I'll click on one of the categories on the left menu. My problem, maybe it is yours too, is that once I start looking at Christian books, I keep reaching for another and another. It takes great self-discipline to stay within my budget. Sometimes my answer it to just stay away from Christianbook.com for a while, to avoid temptation. But then, when I do go, I seem to make up for lost time. The greatest blessing of shopping for Christian books like this, is that you don't have to stand for hours in a physical store to do this. Get into a comfortable postion, when you can spare the time, and enjoy a good wander through Christianbook.com. Consider it a treat you give yourself, like a bubble-bath and soak. For example, just the other day the category, "slightly imperfect" caught my eye. I found some books I'd never heard of, but they intrigued me, and the slight imperfections were not a hindrance but a blessing, as they reduced the prices by 60% or more! If you really want a sense of how much Christianbook.com has in variety and resources beyond your usual book nook, just run your mouse over the blue navigation bar at the top and pause to see how many links are below each one. Under VBS they must have material from all the publishers of such curriculum materials! Under 'Church' you will find things, like communion supplies, ushering, and offering materials. Also pastoral and pulpit books and Bibles, and Sunday School curriculum, etc. Each heading seems to have more and more sub-headings or categories! If you are a homeschooling family - your really MUST check out the vast range of materials there! I had no idea there were so many Christian games for kids until I clicked on 'games' under the Kids menu! Oh me-oh my! Just recently I designed a calendar as a fund-raiser for the mission I work with. So - I decided to see what kind of calendars Christianbook.com might have with Scripture verses in the way I had made ours. Gasp! They have 176 calendars under the Gifts sub-category of Calendars - then Verses! Oh yes, under the Bargain tab, you'll find 11 different listings of bargains. I just tried the one for $1 or less. Hmm..! Shopping for Christian books is as easy and smooth as any experience you might wish. You can click on any item to examine it closer up, and read up on the details. Then, if you've made up your mind you want to order it, simply click the Buy button, insert the number you want if more than one, and if you want to look for more things, just click the Continue shopping button, until you are ready to take your cart to the checkout page. Once you have your account set up, of course, future shopping stops are a breeze. Just bookmark your favourite sites, and do a quick search for the items you need, login and make your purchase. Even here in Canada, I've seen an order from them come through within 7 days! They are quite fast. The librarian at our church library orders books from Christianbook.com all the time, and is very pleased at the special deals she gets. I like Christianbook.com so well that I have no hesitation in recommending it to you. Nor do I blush to say that I have signed up as an affiliate, so any links you find here to that site, will reward me with a small commission, if you should decide to buy something there. (Consider it a small tip for a great lead for all your future shopping. For that matter, you may sign up too, if you have a suitable website. No charge). Do give Christianbook.com a good, thorough browse, before you decide which one will be your favourite when searching for Christian books. Here's a direct link again for you; Christianbook.com Also a search form, that will take you straight to the site for the results page of whatever keywords you enter here to start your search.